TRAVEL: World-wide; Will drive to events in Florida; R/T air and Hotel needs to be provided for each member traveling out of state. EVENTS: Corporate, Special Events, Private Events, Clubs, Cabarets, Music Festivals, Latin Themed Events, Weddings, Theme Parks, Etc. One of the hottest Latin/Pop/Cross-Over bands in the country! 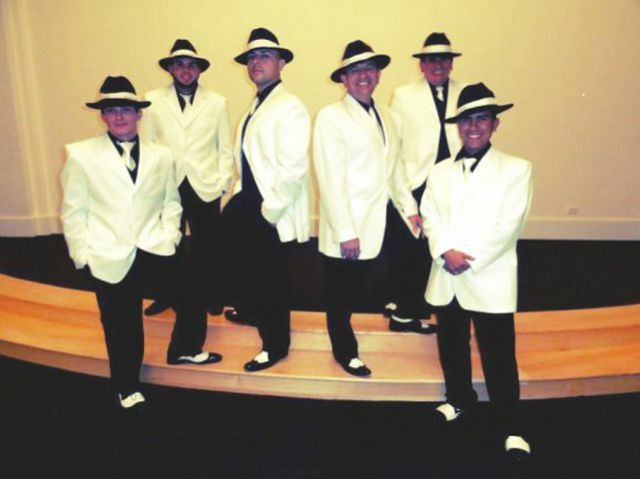 MUSIC STYLES: Maintaining their originality Kaliente band offers many genres of music; from Latin Salsa, Merengue, Cumbia, Danzon, Montuno, Latin Pop, Latin Jazz, Latin Rock, Tejano and Ballads. 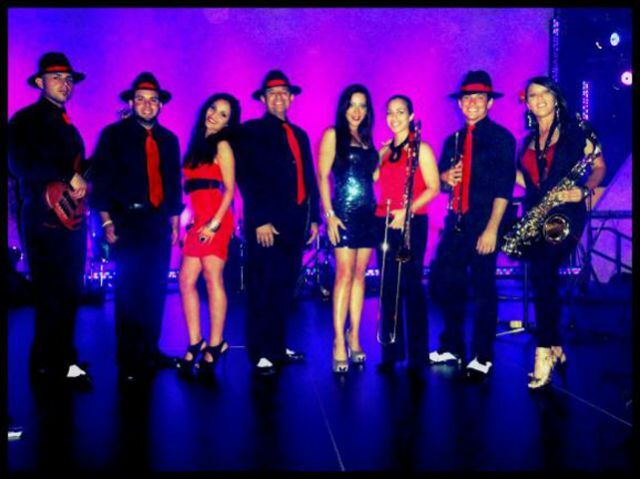 COVERS: Kaliente Band can deliver amazing renditions of Latin and pop artists such as JLo, Gloria Gaynor, La India and Christina Aguilera, etc. The band also beautifully covers the material of superstars such as: Ricky Martin, Marc Anthony, Selena, Juan Luis Guerra and the one and only Gloria Estefan! Kaliente creatively spans the exciting eras of the '60s, '70s, '80s, 90's and its artists, such as Santana, Michael Jackson, K.C. and the Sunshine Band and Miami Sound Machine and all the hottest Top 40 hits! CLIENT ROSTER: Includes: Estefan Enterprises, Nickelodeon, Sea World, Walt Disney World, Universal Studios, major casinos, corporate clients, major attractions world-wide and luxury resorts and hotels across the country. SHOW THEMES & PRODUCTION: Kaliente excels in show production with themes such as Havannah Nights, Miami South Beach party and even a Rockin & Rolling event. Their extensive song list covers everything from the oldies all the way up to hottest hits of today. 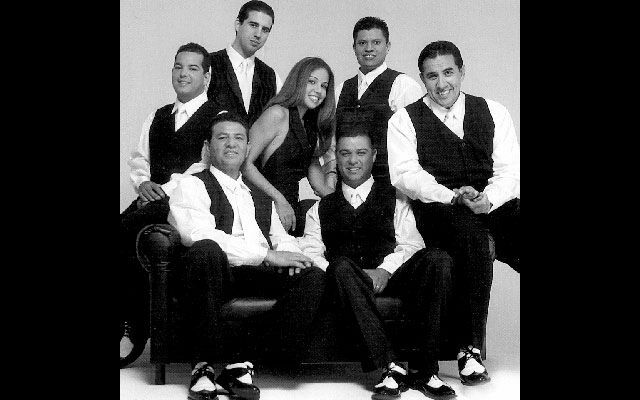 Kaliente can provide a whole night of just latin favorites ( salsa, merengue, bachata, etc. ), or a night of just top 40 hits, or better yet a spicy dance party of both. Whatever your needs, Kaliente can cater to them. Aside from entertaining with some of the greatest cover songs of all time, Kaliente always welcomes new projects, and continues to develop new ideas for their shows. They understand that in every event there is a diverse range of personality and therefore strive to create an atmosphere where EVERYONE can have a unique and fun experience. KALIENTE - (LATIN - PARTY BAND) from Talent Screening Room on Vimeo. Caliente2 from Talent Screening Room on Vimeo. Caliente1 from Talent Screening Room on Vimeo.